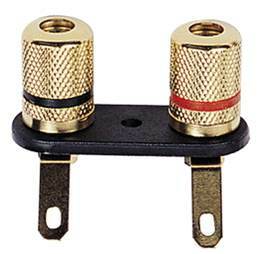 The binding posts below are made from gold plated brass and can either take wire or 4 mm banana plugs. All binding post come in pairs. If binding posts are mounted on wood insulating sleeves are not required. 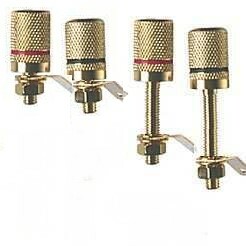 Enlarge These binding posts are made from gold plated brass and can either take wire or 4 mm banana plugs. All binding post come in pairs. Enlarge Insulated binding posts are more and more requested. 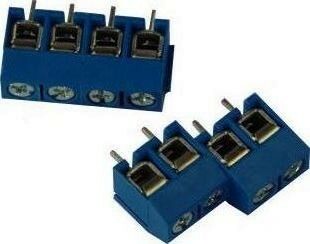 The binding post is made of 3 metal parts and 4 isolators. K11/45/Au (not pictured), have screws for tightening the wire. The others, K30Au (centre) and K10Au (right) come with clamping nut. 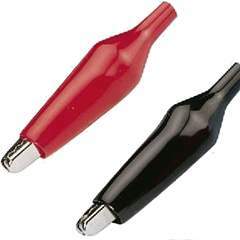 Enlarge These binding posts are made of plastics. 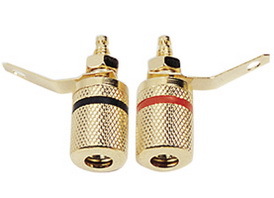 The contacts are gold plated or nickel plated (silver coloured binding post). 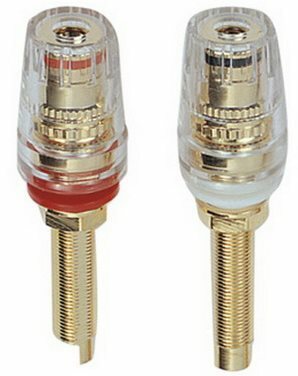 They can take wire or 4 mm banana plugs. All binding post come in pairs. 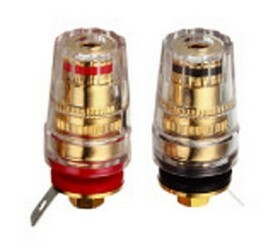 Enlarge These binding posts PK7 are made from gold plated brass and can either take wire or 4 mm banana plugs. All binding post come in pairs. 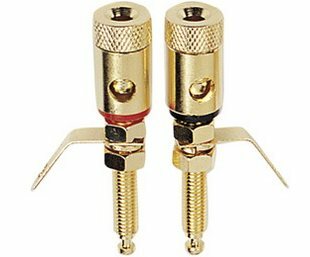 Spring loaded terminal for 2 connections. 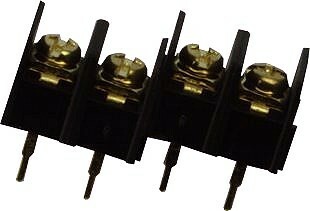 Terminal block made of white plastic with 12 terminal pairs up to 4 mm² wire diameter. Similar to Europe terminal block. 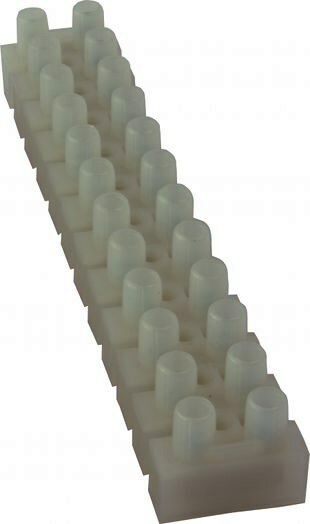 Terminal block made of white plastic with 12 terminal pairs up to 10 mm² wire diameter. Similar to Europe terminal block. 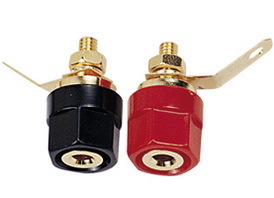 Krokodilklemmen Alligator clamps made of soft plastic insulating sleeves red and black.